Last year was my first reviewing the Sensis report of Australian Internet and Social Media use. If you have never heard of it, they interview 800 consumers and 1100 businesses. Consumers are equally split by age and gender and proportionate by State. In this report, I want to split the report in two. I first of all want to give you the tools to explain why being on social media is important for marketing and then I want to give you an insight into how Australians use social media and how you can leverage that knowledge in business. These will be written as two separate reports to keep them more manageable for you; feedback from last year was that my report was too long and I want to avoid that. So let’s get on with it! 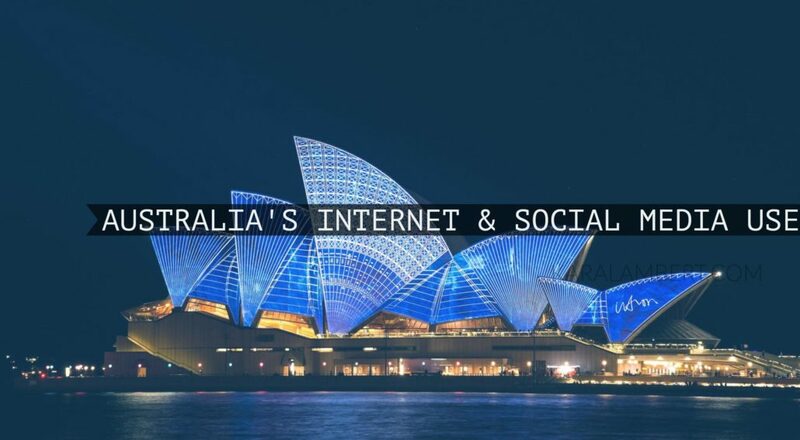 What does Australian internet and social media use look like? It’s no surprise to those in the industry that Australians are long time early and avid adopters of technology. In the Sensis report, respondents reported that 80% of them owned a smartphone and that 84% of Australians access the internet at least daily and <1% reported never accessing the internet. With 3km to each Aussie (Census 2016), it’s no surprise that there was no significant difference on internet access between Regional and Metropolitan Aussies (81% & 86% respectively). But what does that mean? It means that regardless of age or location, most Australians access the internet at least once a day. This means that if you are not online with your business, you cut your access to these people. Not to mention that <1% said that they didn’t access the internet at all. You need some form of internet presence. But where? 59% of all people who use social media look at it daily. 35% of people access social media 5+ times a day. Say what now? What about the 65+ age group? Well, 53% of them NEVER look at social media (yes that included YouTube) and 23% (the next largest proportion of this age group) looked at social media at least once a day. If you’re going to be on social media, be prepared to be posting daily, because your followers are on there AT LEAST once a day. So what social media do Australians use? This one is going to shock you. Researchers asked which of the following social media sites participants used: Facebook, LinkedIn, Instagram, Google+, Twitter, Snapchat, & YouTube. 90-99% of all Australian age groups surveyed use Facebook. The lowest group being the 40-49 year olds and the highest the 30-39 year olds. Facebook was by far the most popular social media platform for the over 65s. Here are the top 3 by age group and in descending popularity. This table is interesting to consider when looking at where to put your efforts depending on the age of your target audience. I find this interesting in so far that there really is little difference in women’s use of YouTube and Instagram and that men are actually more likely to use Instagram than women. Anecdotally business owners tend to believe that women dominate Instagram use, this is not the case. Further to the high usage of Facebook, respondents were asked about their use of social media messaging services. With the exception of those aged 65+, 78-92% used Facebook Messenger. 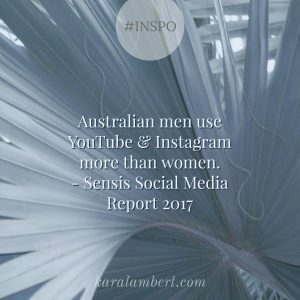 So what do these Australian Social Media Use statistics mean for business? In short, it means that not only can you not ignore having an online presence, if you’re looking to get on social media then you’re best starting with Facebook. It means that you need to stop worrying that your clients are in regional Australia, because that is actually an advantage for you online. The internet helps them access the world and they love it. 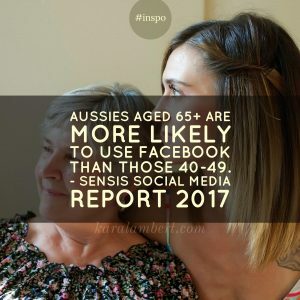 It means that just because your target audience is over 65 doesn’t mean that they’re not online, not using Facebook and not using a smartphone. It’s just not the case – they are. Businesses will benefit from engaging the Facebook followers through Facebook Messenger. Next up I look into how Australians use social media and how that can benefit your business. In the meantime, if you want to know more please book a time to chat with me or come over and join the discussion in the free Facebook Group. Need something to take to the boss? Then send them a link to this report and put the following following Infographic on their desk. Last week I took off for a few days on a business retreat. You see, 2016 while earmarked as my growth year really wasn’t (and for good reason). So 2017 is my year for business growth and I had wanted to go on a business retreat for a while. I know it seems odd a business coach heading off for business coaching but this was more about giving myself clear space to work on my business. So what do I mean by working on my business? These things are the nuts and bolts (well coffee dates are for me) of getting the daily grind done. Growing your business is at a ‘higher’ and more objective level. What does working on your business look like? Growing your business is that blue ocean, pie in the sky, if only thing where you look to where you want to be and you nut out what you need and how you’re going to get there. When I was driving a corporate desk we called it Strategic Planning and it used to elicit groans of dread and snores of boredom from around the room. Why do people shy from business growth? As growing businesses is what I do, it’s not something I shy from. In fact, I was the one who enjoyed the strategic planning, lining up goals through the levels of the Agency right the way down to what my staff were required to do. I loved writing papers on how to make the business unit more efficient, in fact I once wrote a paper on how they didn’t need my position and five years on the position is still vacant. I admit, it takes a certain mindshift and mindset to move from the everyday nuts and bolts of getting the job done to the level of ‘where do I want this thing to head’. The other issue is that it can be draining to constantly think at that level over extended periods of time. Our brains are hardwired to find solutions, so when you spend extended periods of time looking at the broader aims, direction, & objectives; our mind is tempted to keep coming back to trying to work out the ‘how’. What gets in our way of business growth? We do. That’s the reason why I had to go away for a few days. I will always put my clients’ needs first and so I had to make it clear that I was out of action for a few days so I could dedicate time to my business. Did it work? Yes & no. I still took calls and checked emails, but in the main I achieved what I set out to. Outside of our innate ability to think strategically, sorry some people just have it and others have to get support or work at it, the main issue I find its time. We just don’t make business growth a priority. How ironic! We want to grow our businesses but we just don’t make the act of sitting down to nut it out a priority. 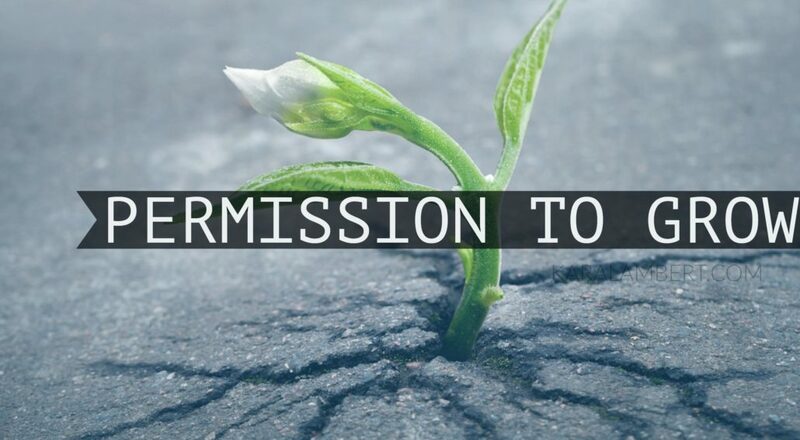 I give you permission to carve out time from your week to dedicate to business growth. You read it right, sometimes we just need someone else to tell us it’s ok to do it. But here is a tip on it. Get out of your usual working space to do it and leave social media and other distractions behind. You can’t do something different by doing what you always do. Let’s face it, it might even be sitting in a different chair, going to a café, you don’t have to up and go halfway across the country like I did. Disrupt your normal working pattern and JFDI. I admit that it was difficult, but I also left my phone in a different spot. My phone was not within arm’s reach of me while I was away. Why? 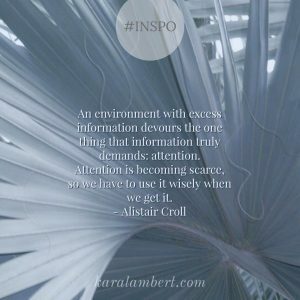 I am easily distracted and if I am disengaged I will pick up my phone. Get a buddy to strategise with. While I am available to mentor you through the process, I understand that that is not always feasible. 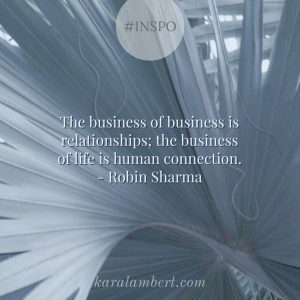 However, see if you can pair up with a business buddy to work on your businesses together. It’s amazing how different someone else’s perspective can be. Sometimes you need someone else to show you the forest for the trees. Remember that this is not a once off. Nor is it a set and forget. Like any good food, there is a recipe and procedure to get from the raw ingredients to the decadent meal. You will have to work at it. I for one have decided that I will set aside a day per week for working on my business and getting it t where I want it to be. You may or may not like that, all I can say is make an appointment in your diary & stick to it, but try to make it once a month. So I’ve recently returned to the gym and I’ve started back listening to podcasts. I have recently been listening to Gary Vaynerchuk on SoundCloud. He had an incredible example of showing that you truly care, understanding your client, going that extra mile, and the power of word of mouth. The thing these all have in common is connection. I don’t know about you but I’m seeing a lot of people feeling incredibly disconnected regardless of how digitally interconnected our world has become. Here’s the thing, I highly doubt that Wine Library does that for every $117 order. I’m also fairly confident that for a while there they were questioning the practice altogether. And then it paid off! I have to admit, a 3-6 month turn around on such an action and connection is quite short. Most businesses I know have a 12-24 month turnaround time. That means that it will take 12-24 months before making a connection will pay off. I have mentioned in the past that it takes 7-12 touches to convert someone to buy from you. As you can imagine, those touches can be quite some time apart. I’ve previously spoken about how we need to like, know & trust a person before we commit to connecting and purchasing. In this example, Gary Vaynerchuk was able to bypass a lot of this by leveraging the connection between the two clients. No you can’t predict who is going to talk to whom and lead to a big sale, in part that’s why you treat all connections as if they will, but there’s a short cut. Testimonials! A testimonial is a way that you can short cut a connection. You can do that because of the network of friends the giver has and relying on them seeing their testimonial, the other is the psychology of testimonials. 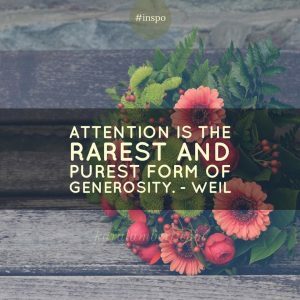 There is a body of psychology which sits behind testimonials, driving us to imply a connection and trust in the giver and thereby the service they are giving the testimony of. As Gary Vaynerchuk mentions, while a fruit basket or note is nice, it does not replace a researched and concerted smaller effort directly relevant to the receiver. What these more concerted efforts do is show true interest and concern for the receiver, not merely ticking some box because it is expected. One way you can quickly develop a genuine connection is by livestreaming. 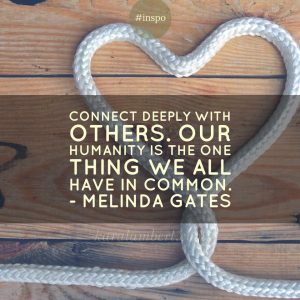 I know I go on about it and that it can be intimidating for some, however it is the fastest way to build a genuine connection. Not only do people see you live, hear you , and watch your reactions, they can interact with you. Now that is a powerful tool. Here’s a hint, I understand that livestreaming is intimidating, which is why I encourage members of my group to go live in the group to practice. The more I stop and think, the more I feel that we have been lead to believe that word of mouth is a dirty way to grow a business and that leads are the best way. I have to be honest, I struggle to think of a business who would be better off turning their back on word of mouth in preference for new leads, unless of course, they are that bad that they lose their customers more often than they retain them! A word of mouth client may have taken longer to come about, but it might not have, the thing is that you didn’t have to do any direct work with that client to win them over. Now consider a cold lead and the relationship building you have to do to move them into a place to buy. That can take a while. 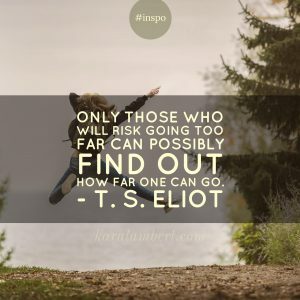 A client gained through word of mouth can, in fact, strengthen two bonds and done well you will find you can have an exponential growth through networks rather than a linear growth through a list. In this digital age, we have forgotten this. We have forgotten that there is a person on the other side of the screen. (That’s how we get keyboard warriors & trolls) We have forgotten that that person booking our service or buying our product online is actually a person. Hey, sometimes they even forget that we are real. We have lost that personal connection. In the end we all have this need to feel connected to others, we all want to feel valued, we all like to feel special.